My eating has gone to new limits lately. With blogger events like Lil Vinny’s Dinner, and Local 149 brunch (I’ll post about that soon), I have been consuming entirely too much indulgent food too often. Healthy Snack Wednesday could not have come sooner! 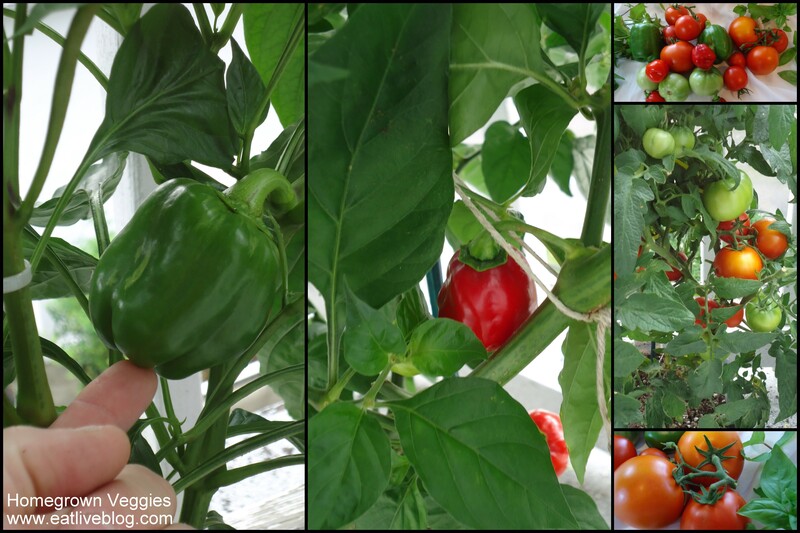 This year, on our tiny patio garden, we were able to grow tomatoes, habaneros and bell peppers. That statement is somewhat understating what we grew. These vegetables are fabulous! I guess its kind of like a dog, when it is yours, it is always the cutest. Well, we grew these vegetables, and they are the best I have eaten. Whenever you have vegetables this good, you really want to showcase their flavor, not hide it in a heavy recipe loaded with spices and anything else. 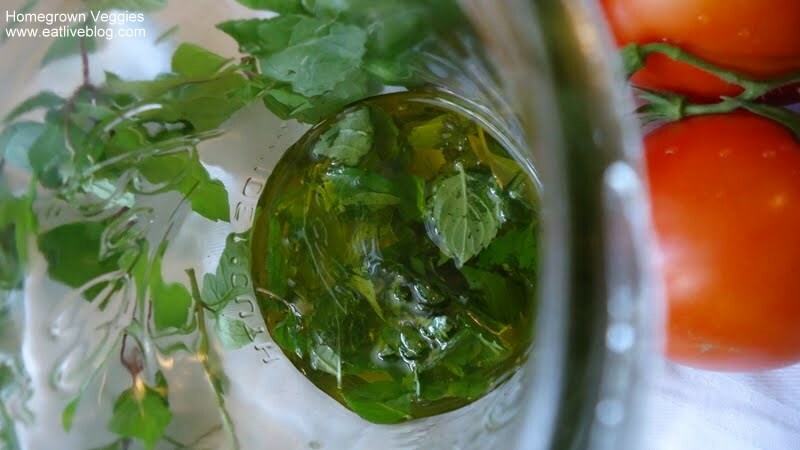 I collected some fresh mint from our neighbor’s garden (with permission of course) and my snack was making itself! Enjoy and feel the healthiness! 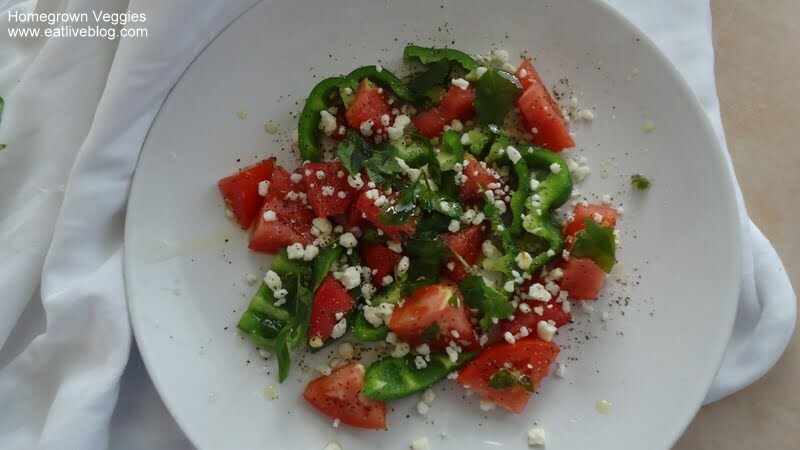 This entry was posted in Recipes and tagged feta, healthy snack, homegrown, mint, oil, organic, peppers, recipe, salad, snack, tomato, veggies by reneeh. Bookmark the permalink. 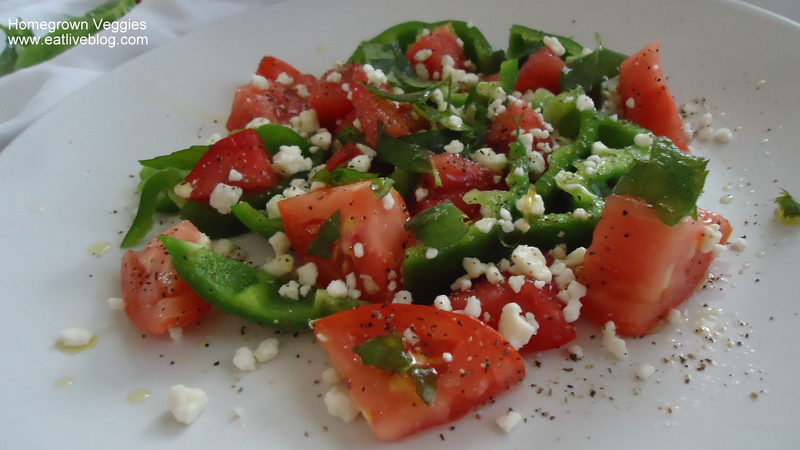 What a fantastic salad to help balance out some other fantastic blogger meals! I agree with you re: the analogy of veggies and dogs. 🙂 I’m sad I didn’t do any container gardening this year. 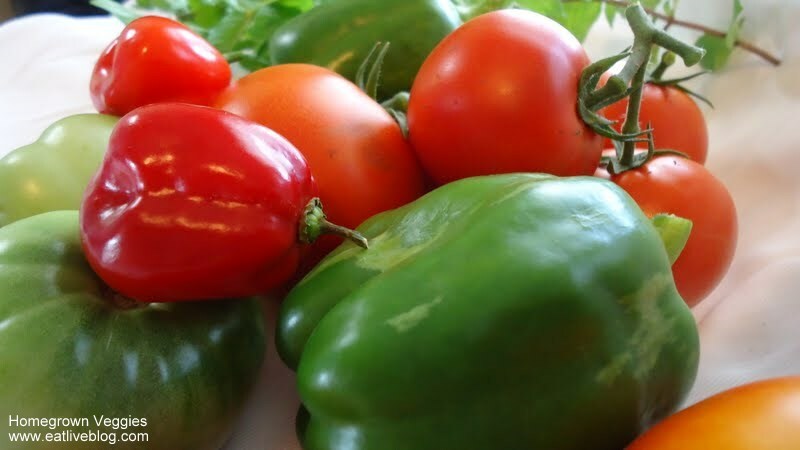 It’s definitely a pain to figure out when you want to travel, but I especially miss homegrown tomatoes. this is beautiful! and, yes, a good balance to other blogger-related indulgences! Love fresh salads like this. And even more because everything came from your garden! I have garden envy!